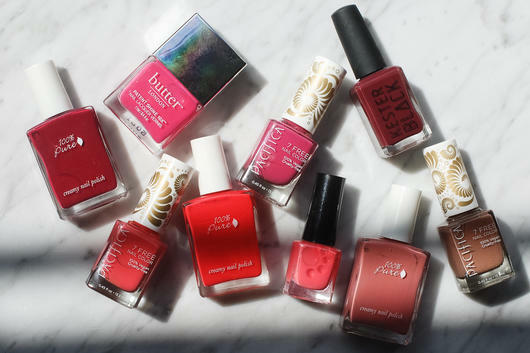 Did you know that mainstream nail polishes can potentially affect your health? That's why it's important to choose wisely. 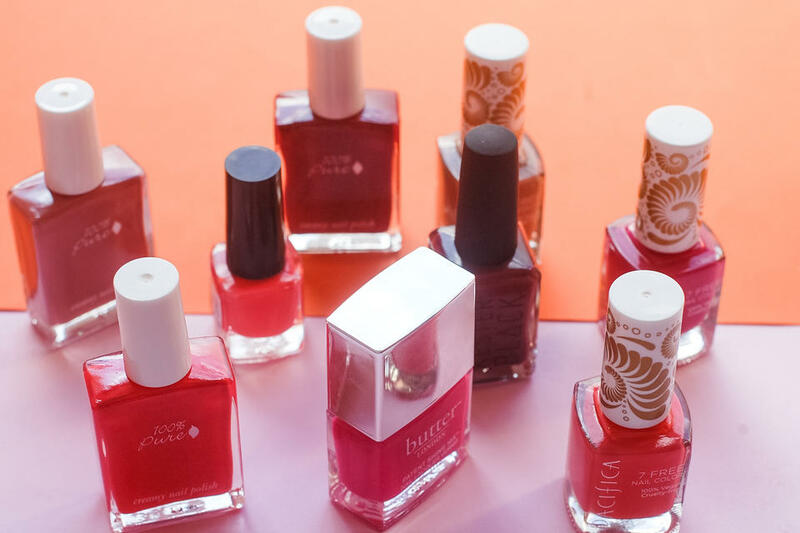 With a range of different nail polish options, 3-free, 5-free and 7-free, you can read on to learn the difference! Have you ever considered that the nail polish you apply to your nails could have an impact on your health? Mainstream nail polishes can contain harsh ingredients that may be considered toxic. Here at Nourished Life we have a large range of beautiful toxin-free nail polishes. While there's no such thing as a truly or totally 'natural' nail polish, you may notice that in each nail polish description they have numbered labels, e.g. 3-free, 5-free or 7-free. These are actually an indicator as to how many potentially toxic ingredients are absent from the nail polish formulation! In mainstream nail polishes there are three chemicals that can be of concern. The first is Dibutyl Phthalate (DBP) which is an ingredient often used in plastics to make them more flexible. According the US Environmental Protection Agency, DBP could potentially have dangerous effects on developmental growth, reproduction and is in fact toxic. The Second chemical is Formaldehyde, which according to the National Cancer Institute is a possible carcinogen, meaning it could cause cancer. The third chemical is Toluene, which is a hazardous chemical found in petroleum that could also be toxic with prolonged exposure (according to the US Environmental Protection Agency). So, when nail polishes are listed as 3-Free this means that they are free of those three nasties! 5-Free nail polishes also do not contain those three ingredients, but in addition also tend to not contain Formaldehyde Resin or Camphor either (Camphor can cause your nails to turn yellow and dry out). 7-Free nail polishes go even further and tend to also remove the ingredients Ethyl Tosylamide and Andxylene. We have an incredible selection of 7-Free and vegan nail polishes from our own range, Life Basics by Nourished Life! Choose from our classic Breathable Nail Polishes or the more durable Sun Set Gels, which are an amazing alternative to mainstream gel nail polishes. Finally, if you are using a beautiful natural nail polish then you need a healthy polish remover! I absolutely love our Life Basics Nail Polish Remover, which works perfectly to remove all types of polish and is Acetone and Ethyl Acetate Free, instead working to nourish your nails, cuticles and hands! We also have ultra-handy Life Basics Nail Polish Remover Wipes, which are perfect for quick and easy polish removal, especially if you're always on the go like me!